Panic! At The Disco just finished the last leg of their “Death of a Bachelor” tour with Claypaky A.leda B-EYE K20 and Sharpy fixtures and a grandMA2 full-size console along for the ride. The two-month run, which began in Connecticut and wrapped in Florida, concluded an extensive arena tour supporting the band’s eponymous fifth studio album released last year. Panic! At The Disco previously played gigs in Europe, Asia and Australia as well as in North America. Luz Studio in Montreal was responsible for the tour’s production design and video content. Upstaging Chicago supplied the equipment. 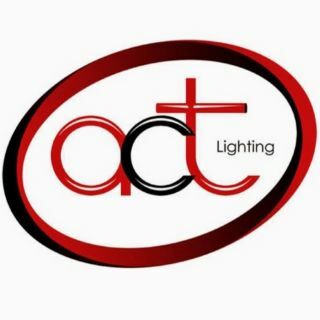 A.C.T Lighting is the exclusive distributor of the Claypaky and MA Lighting brands in North America. Luz Studio worked closely with lighting designer Alex Specht, who has collaborated with Panic! At The Disco for the last four years, on this leg of the tour. It was Luz Studio’s second project with the band. The set featured three upstage vertical video screens, made from 7mm ACASS LEDs, with embedded lights. Five moving “chandelier” pods were suspended over the stage. Larivee positioned the B-EYE K20s in the upstage pipe, on the ladders next to the upstage wall, and on the floor. For a song featuring a piano, which was revealed rising up from the B stage in the house on a hydraulic lift, Larivee put four Sharpys on the floor and four above the moving piano. Larivee used one active grandMA2 full-size console and one back up unit. The console ran the tour’s lighting and video content driving a Hippotizer Boreal media server as well as Barco’s E2 video processor, which controlled all the cameras.